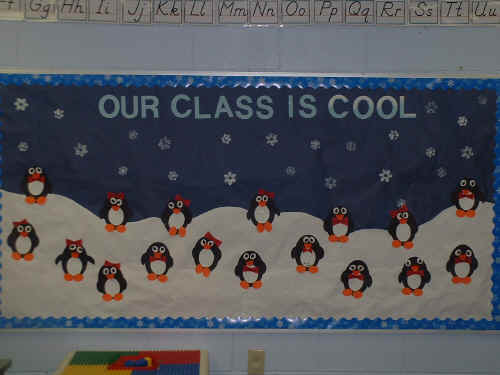 I used this bulletin board during January and February. The children made the penguins using ovals - except for the red bows. We did bowties for boys and hairbows for the girls.